Slogans assign value to a candidate or an idea. One of the most memorable campaign slogans in United States history was written for Dwight D. Eisenhower’s 1952 Presidential campaign. The slogan, “I like Ike” was a simple yet brilliant play on the Eisenhower’s nickname and a rallying cry for the nation. It’s an example of a positive, first-person, candidate slogan. Michael Dukakis was the longest serving Governor in the history of Massachusetts. He was also a democratic candidate for President in 1988. One of Dukakis’ slogans that year was “Good jobs at good wages.” This is an example of a positive (uses the word “good” twice! ), idea-focused slogan (jobs & wages), third-person slogan. It is third person because it does not refer to the candidate but makes a general statement that anyone could say. Barry Goldwater was a U.S. Senator from Arizona who ran as a Republican presidential candidate in 1964. One of his slogans was, “In your heart, you know he’s right.” This is an example of a positive, second-person, candidate-focused slogan. It is second person because it speaks directly to the reader (“You”) just as a second person might. It seems simple enough. But is such a simple slogan truly effective? It may be effective if people know enough about you, your ideas and where you stand on the important issues. But what if they don’t really know you at all? Will a simple “Vote for me” tagline be enough to woo the masses? Maybe what you need is a more effective slogan that captures the essence of who you are and what you’re passionate about. 1. 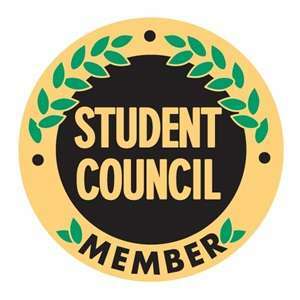 Student Council Slogans can assign a value to your name or idea. See where we’re going with this? When making a slogan, consider putting a word or short phrase that captures a feeling and tells others what you’re all about. The only thing to be careful of is to make sure that what you claim to be is an accurate description of who you really are – not something full of half-truths or empty promises. In other words, your slogan can point the way, telling others where you should go. It’s a collective vision for a better and brighter tomorrow. 3. Slogans can contain a call to action! Some of the key words we talk about when discussing ‘calls to action’ are words like: “Elect”, “Vote”, “Join”, “Support”, etc. They try to motivate people to get off their cans and do something! Have you wished for more ? He/she will fight for you! Zombies are coming! Just kidding.